What kind of gas mileage am I realistically going to get outta my Lude? I've been thinking/hoping around 26 highway at least. I averaged about 16 mpg city because my EGR valves needed to be cleaned, the pcv valve needed to be replaced, I needed new spark plugs, and my compression was terrible... Probably also had to do with the fact that if I didn't hit vtec in every gear I was disappointed lol. I get 28-ish highway MPG with a bad 02 sensor. And Elude- I don't like what's in ur thread.. I didn't win for the 1st few and I'm not sure how I even won.. 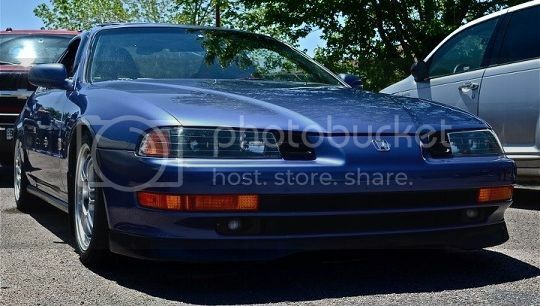 But you'll def win it..eventually lol I love your lude!! Not too many ppl autox on here or preludes period.. I average 19mpg combined city/hwy in my '94 Prelude VTEC with 200k miles. Another gas milage thread? Jesus, there's got to be 100 of these on here! Y not just search instead? ^ You know, we have a itsdatoneguy over on preludepower. You sir are an imposter!